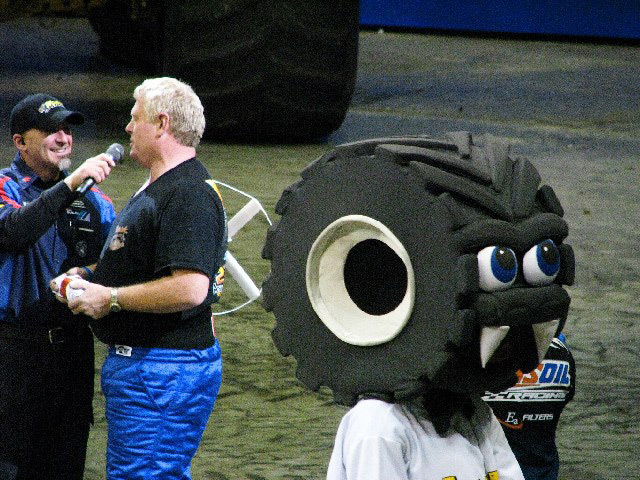 qualifying time and it was a photo finish in the final race against Tailgator. 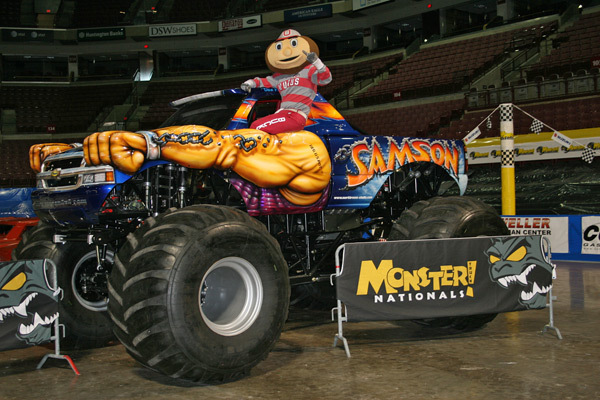 Overall, Dan had a great night in Columbus!! 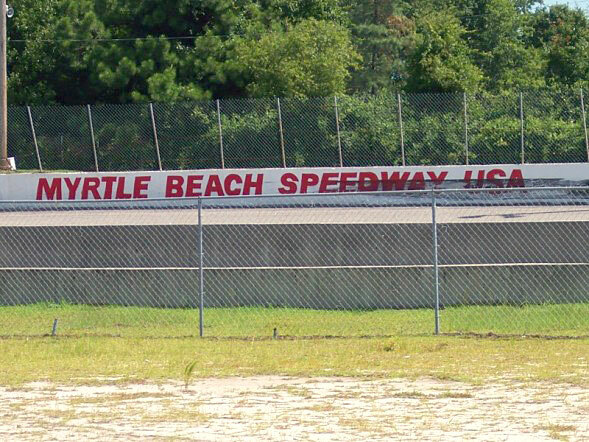 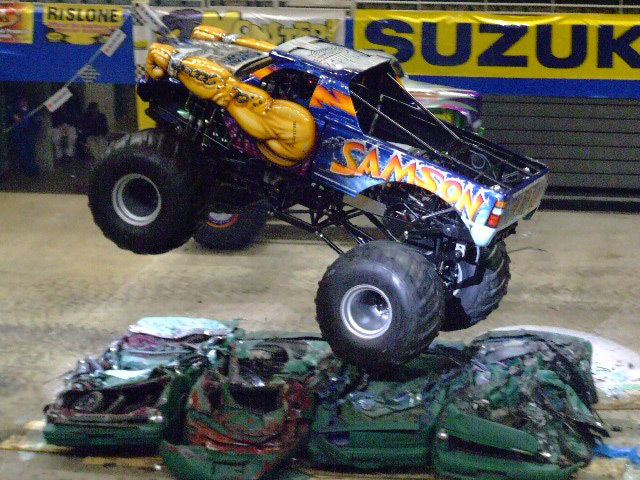 Saturday Afternoon - Samson had fastest qualifying time and tied with Tailgator in the finals of racing. 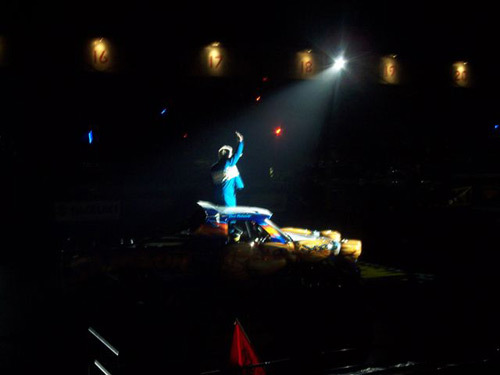 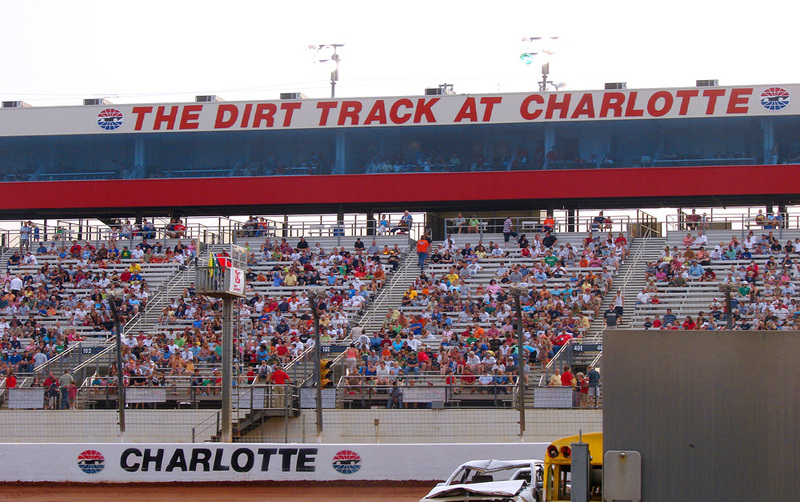 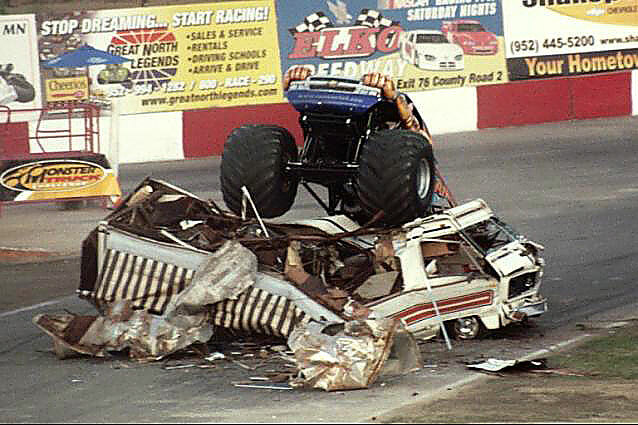 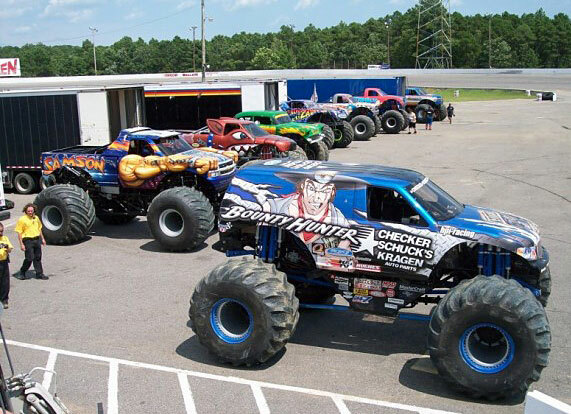 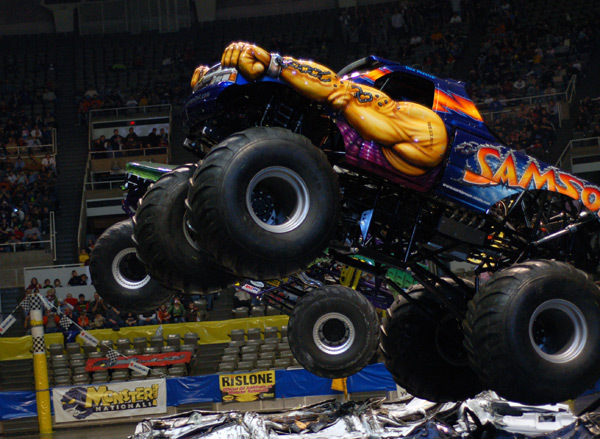 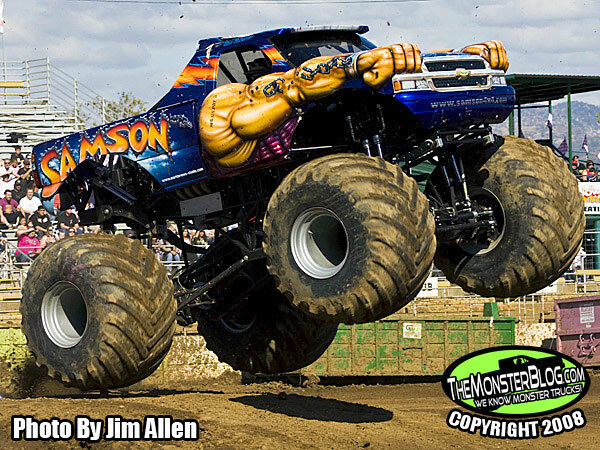 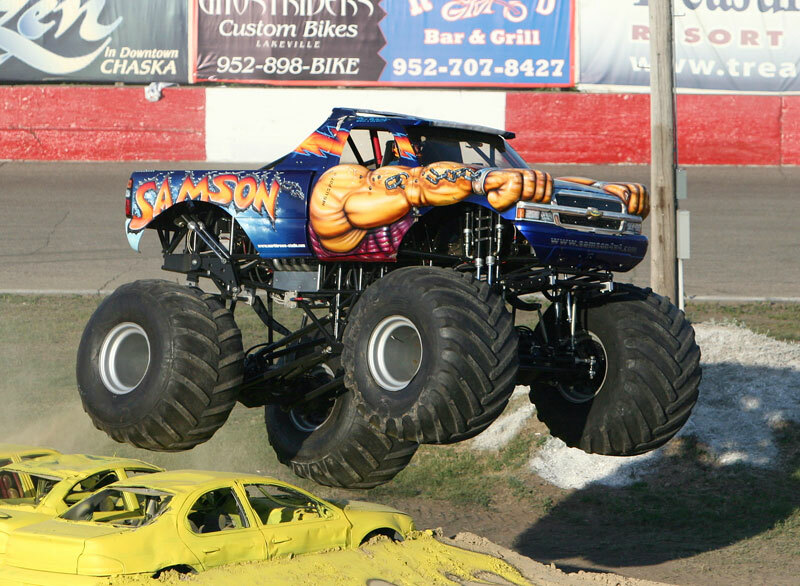 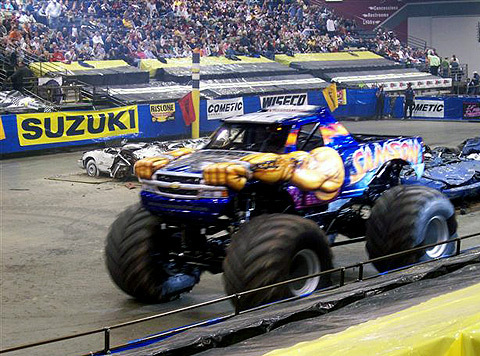 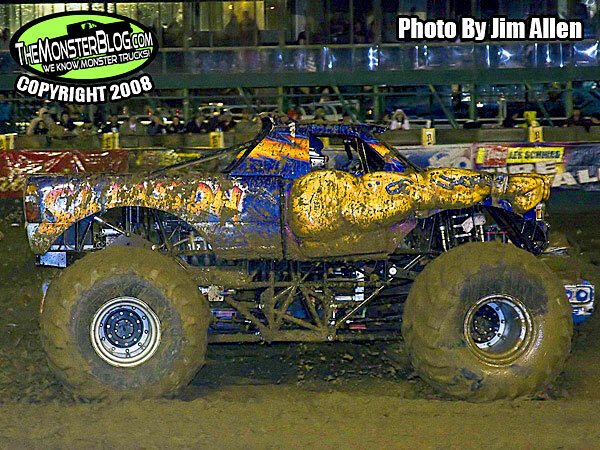 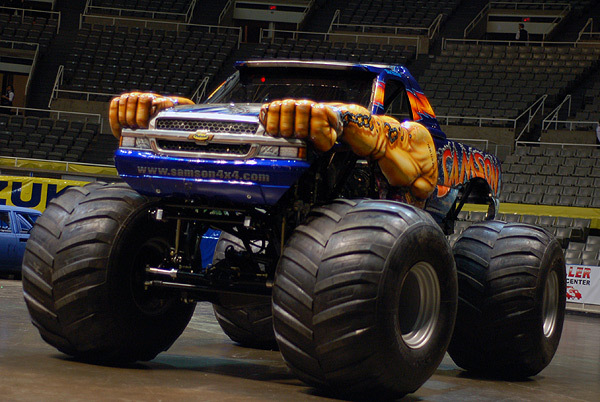 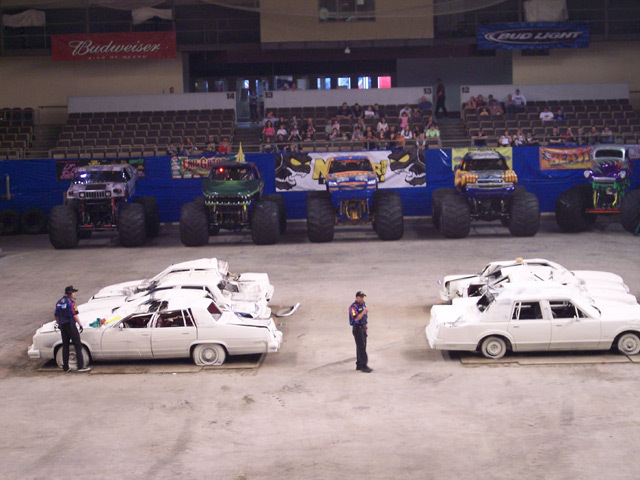 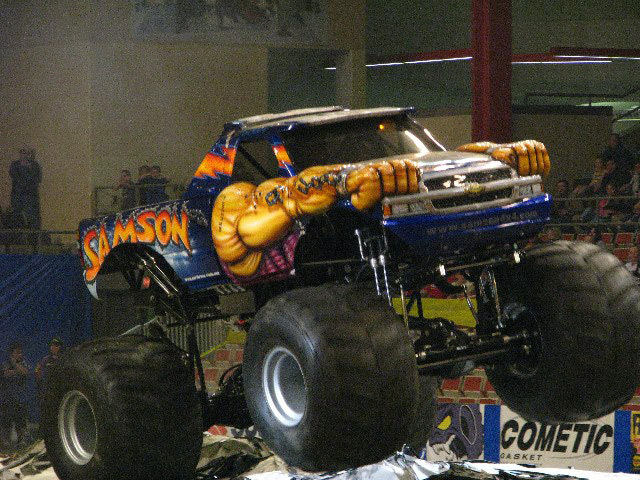 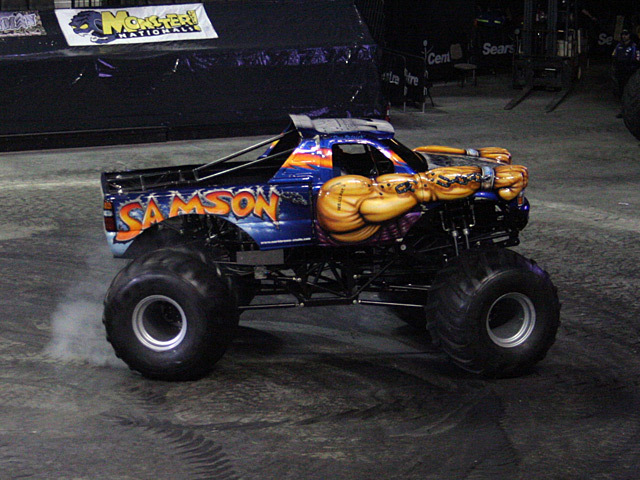 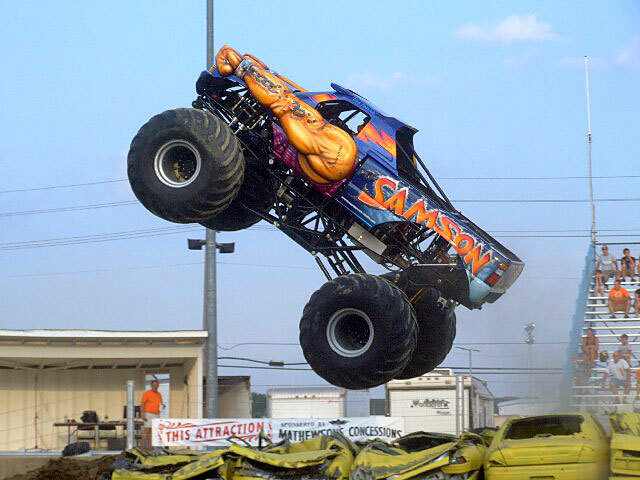 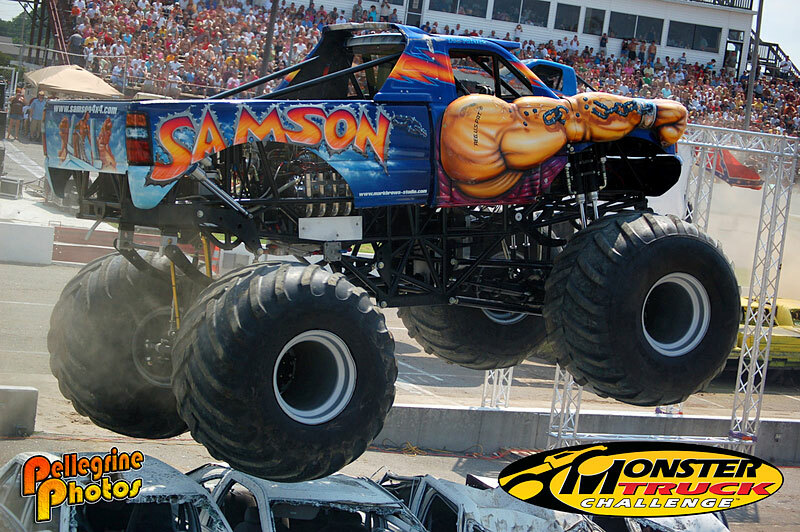 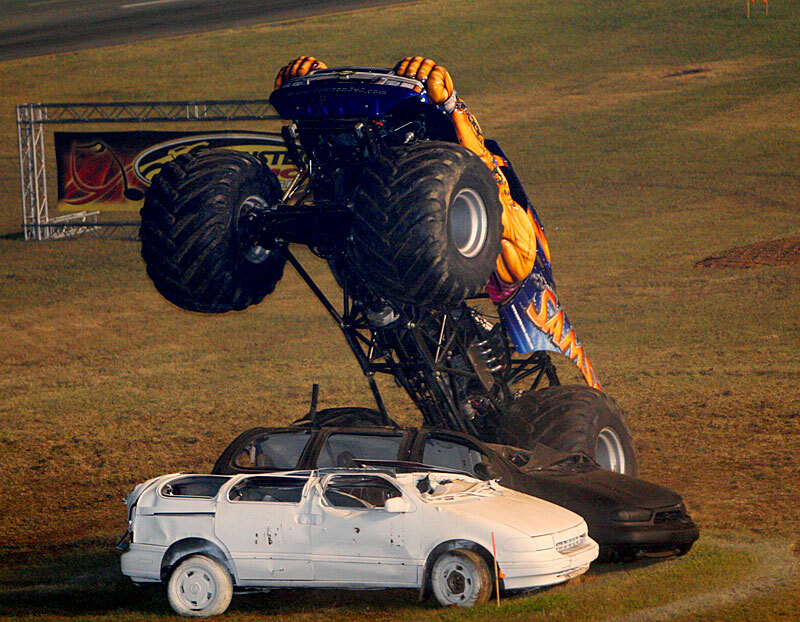 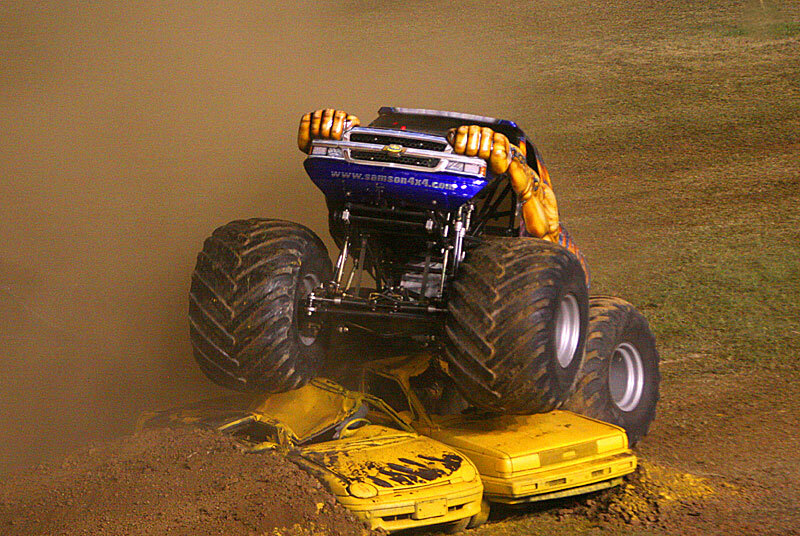 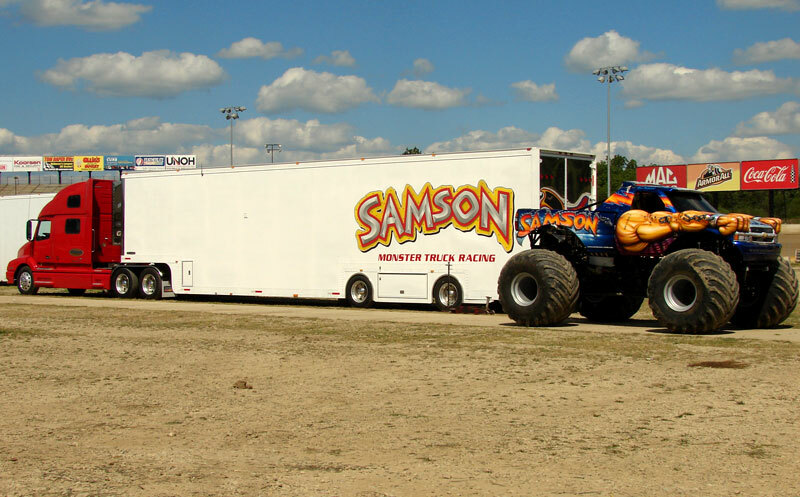 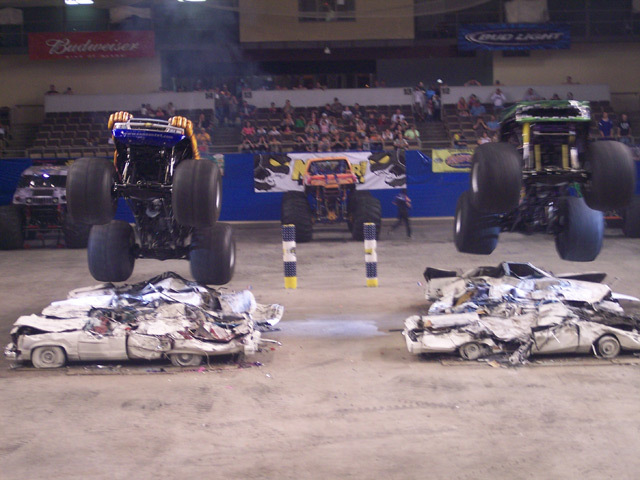 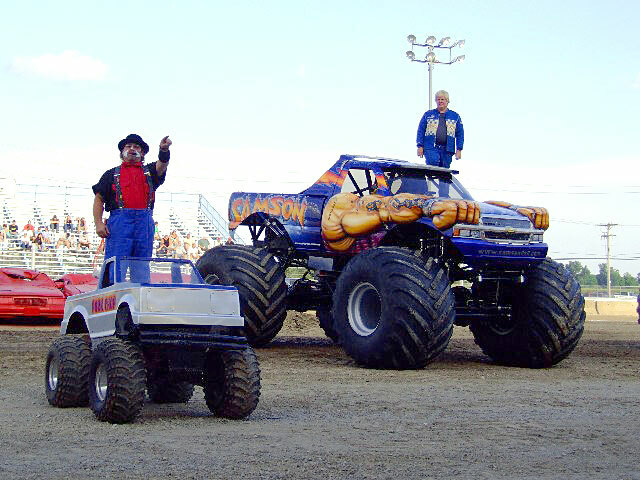 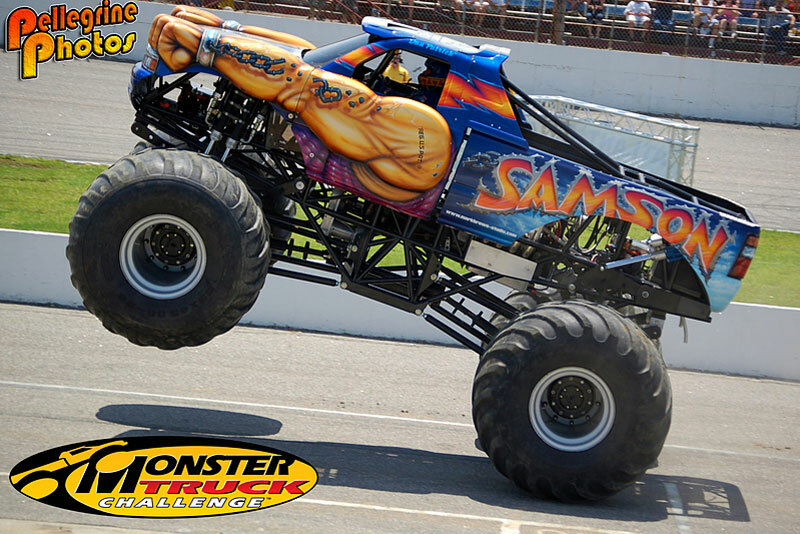 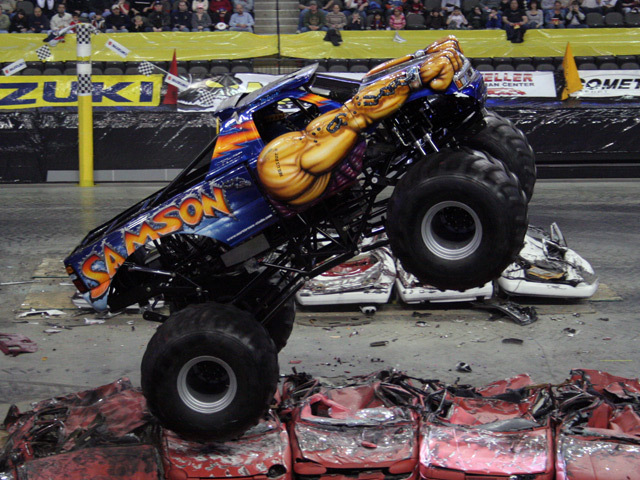 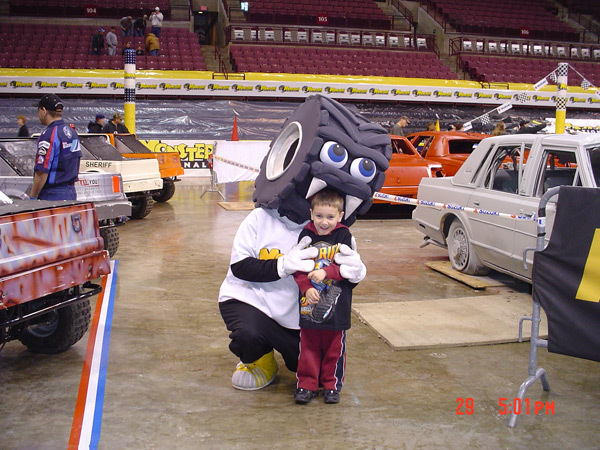 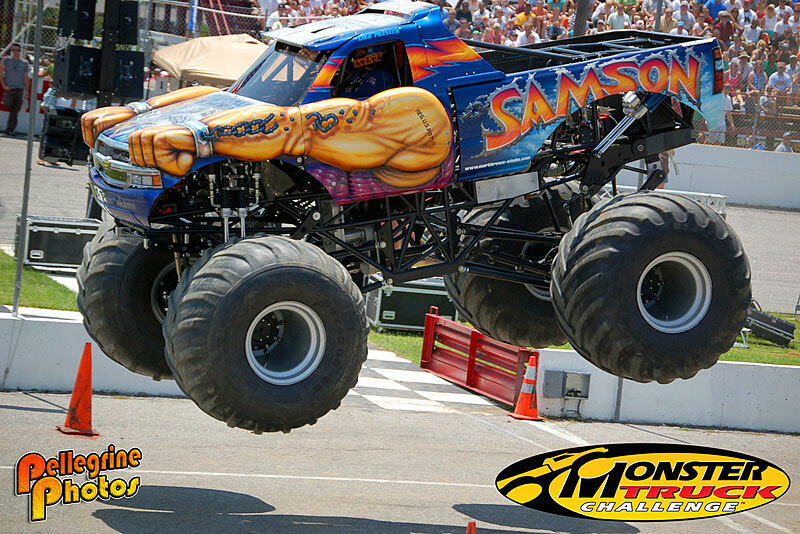 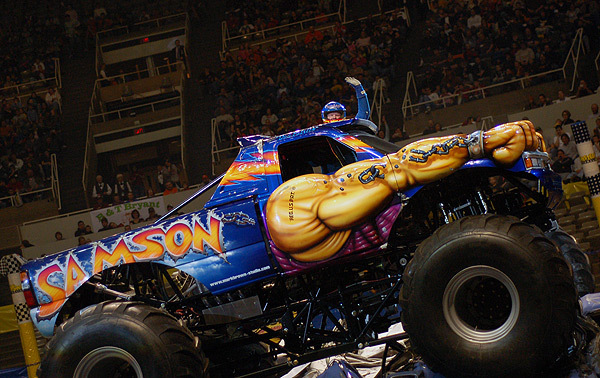 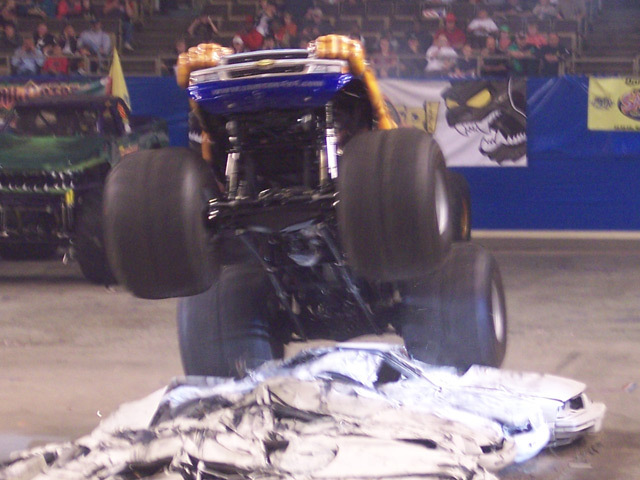 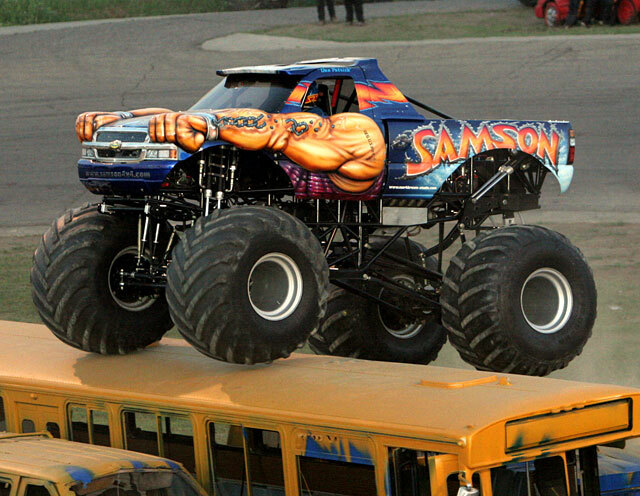 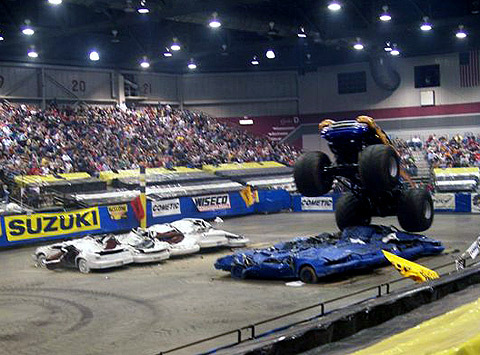 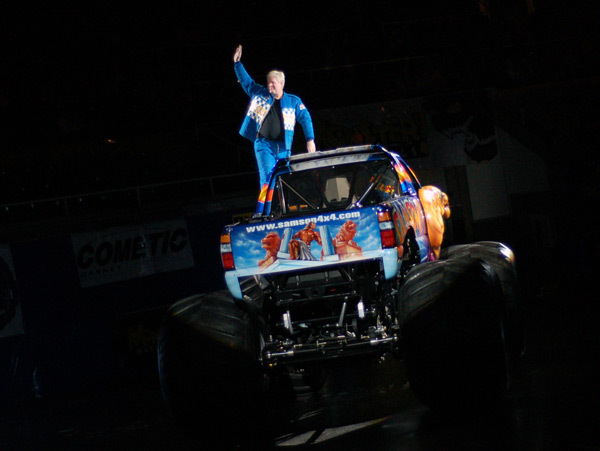 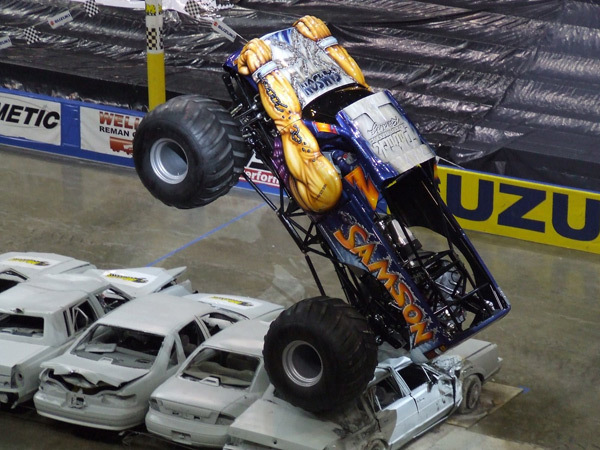 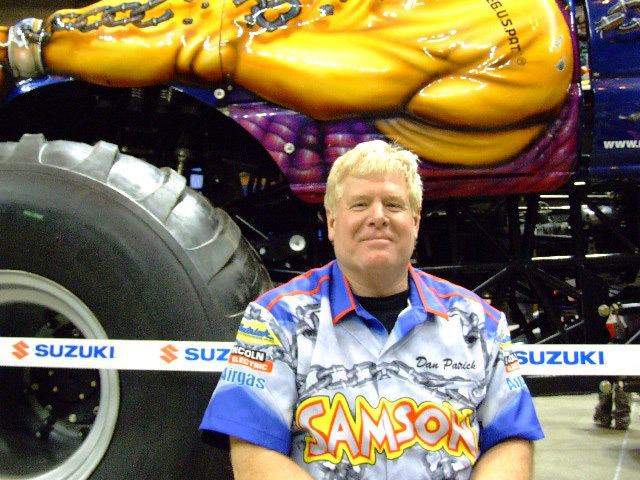 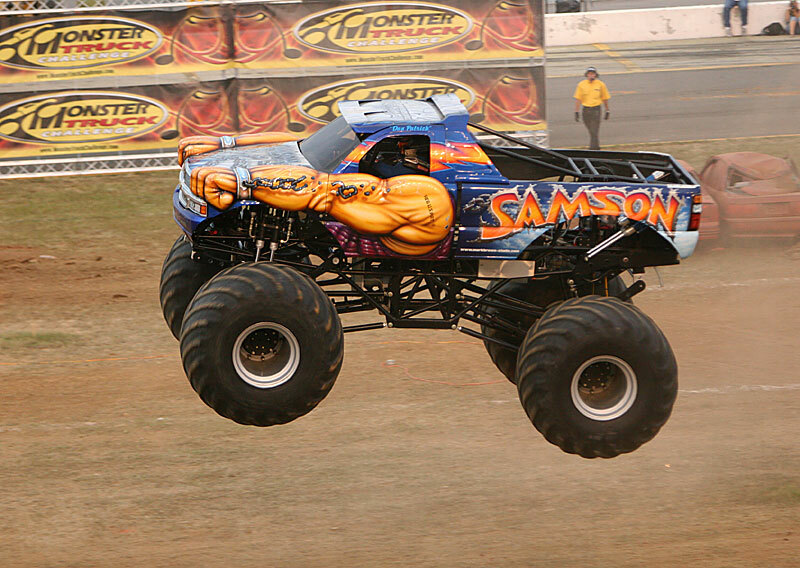 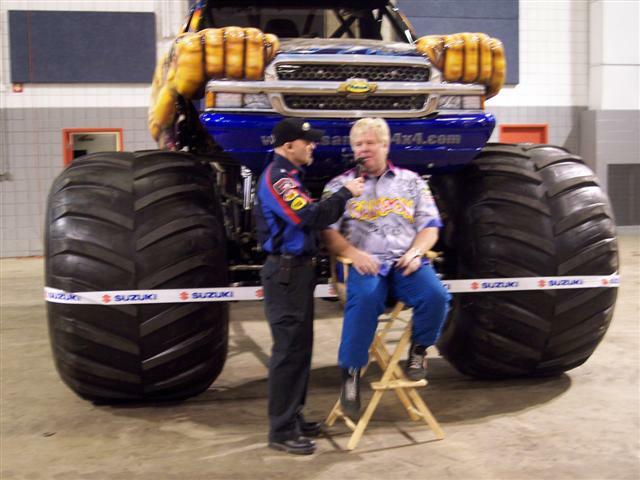 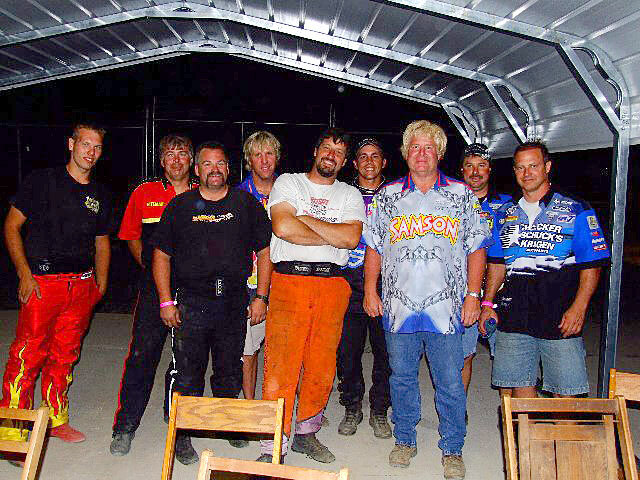 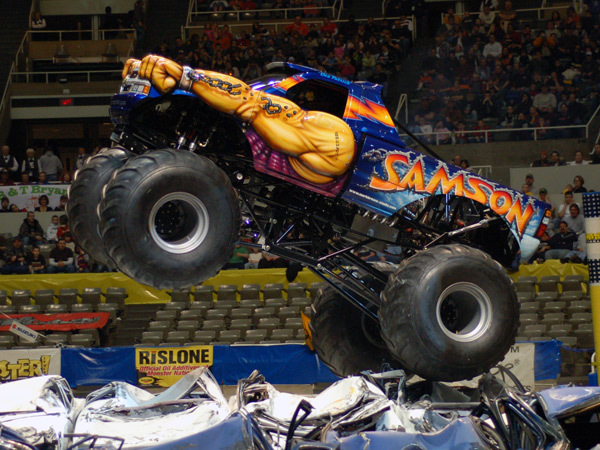 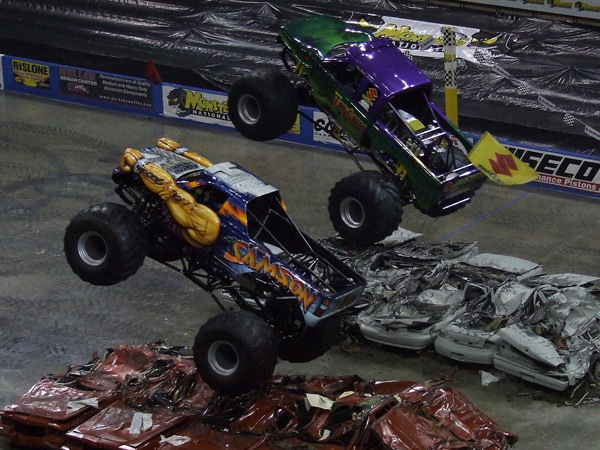 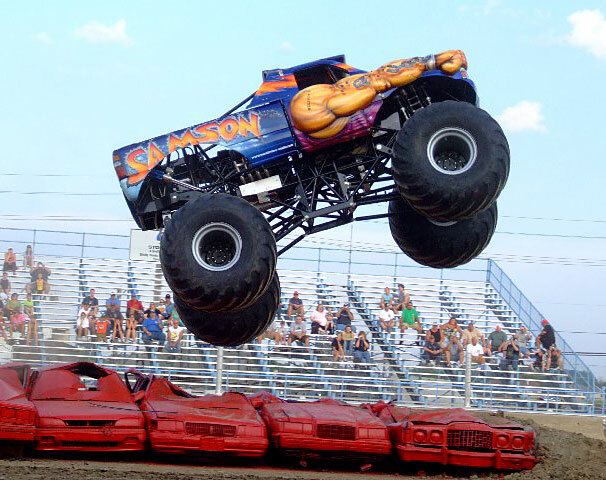 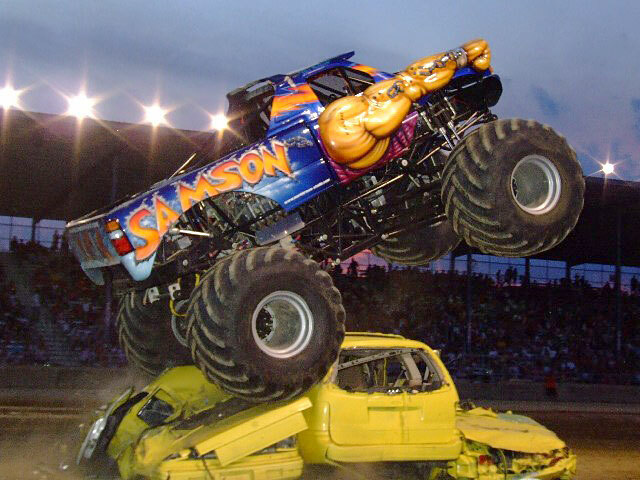 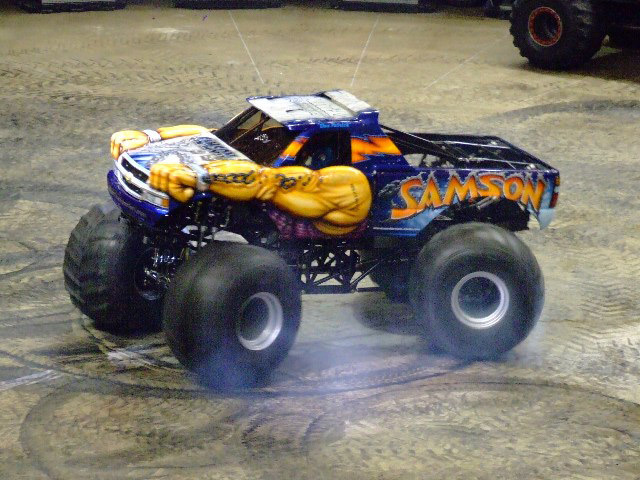 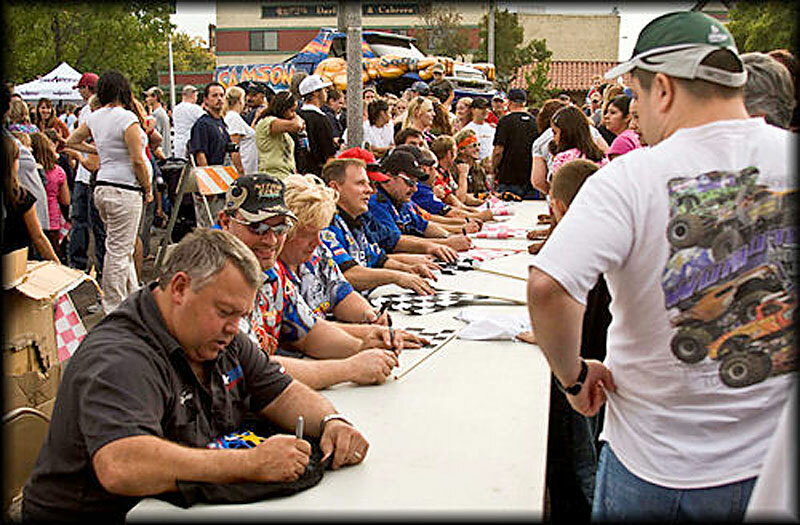 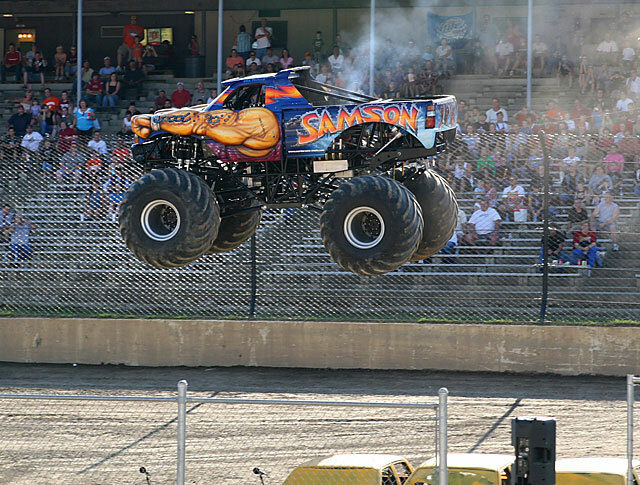 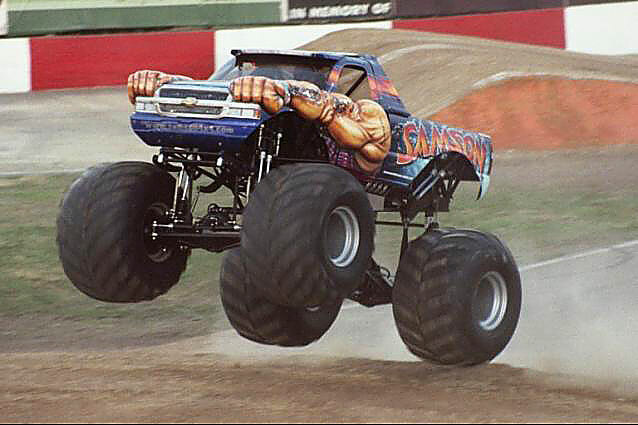 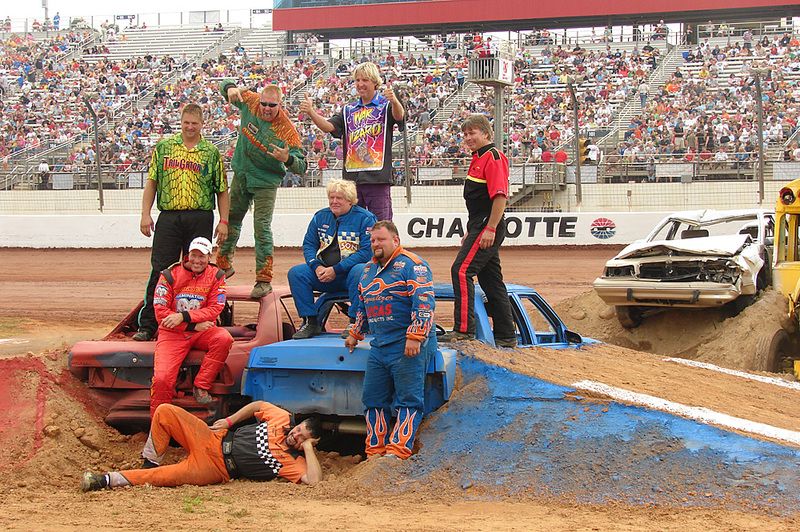 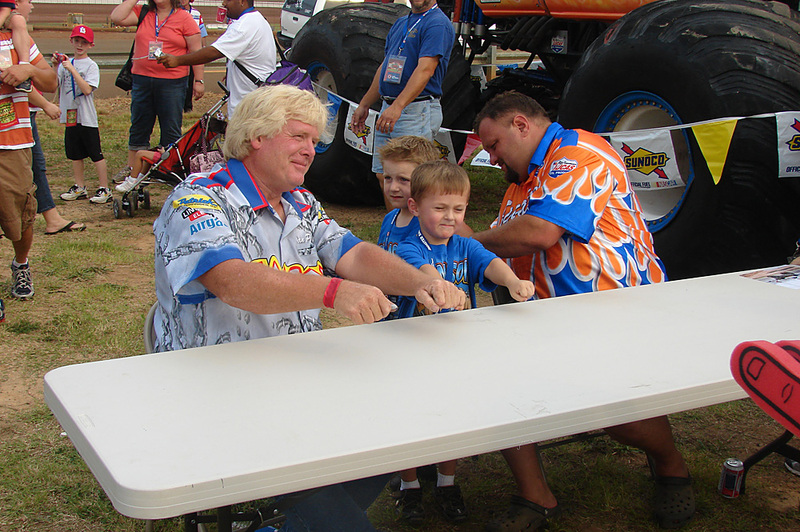 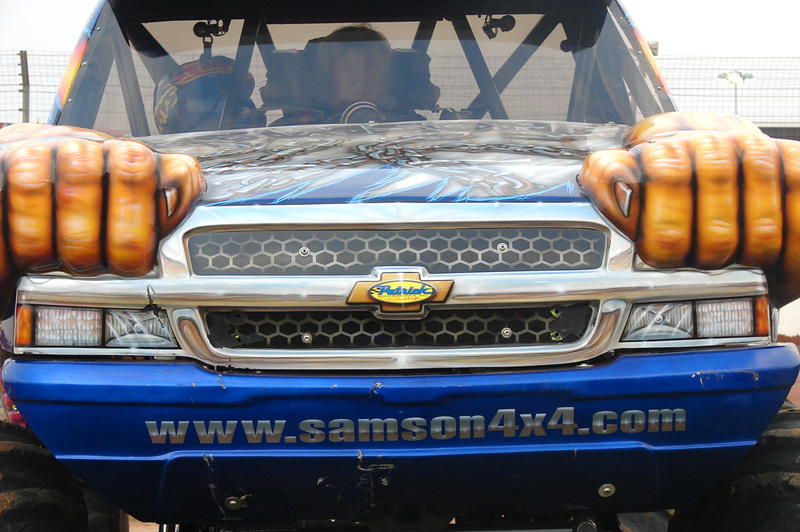 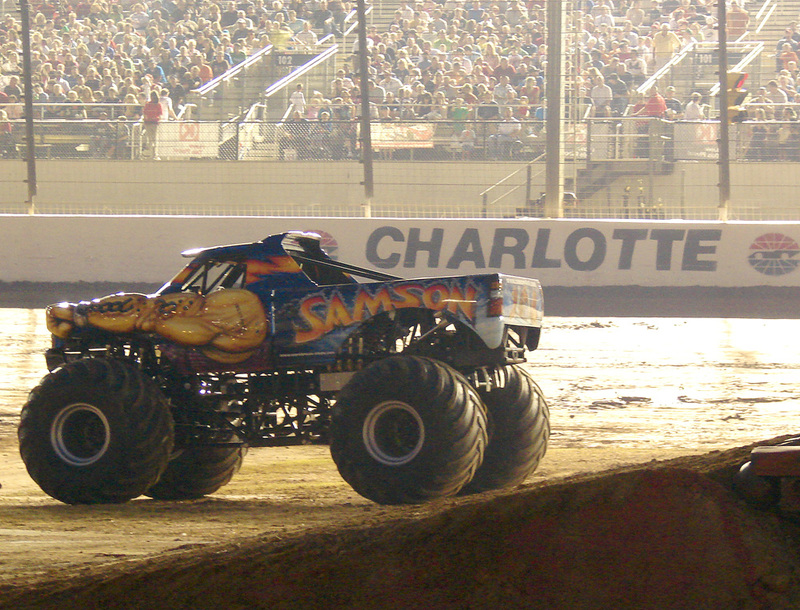 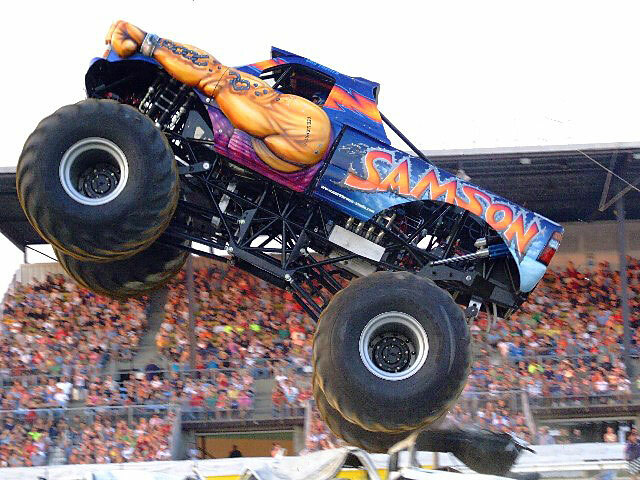 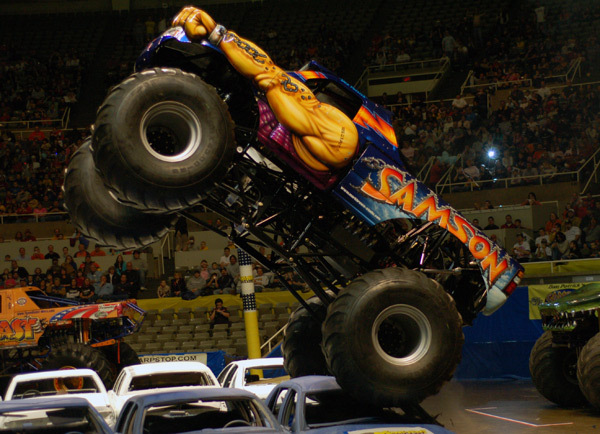 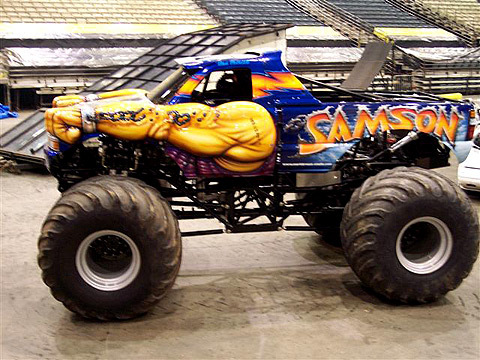 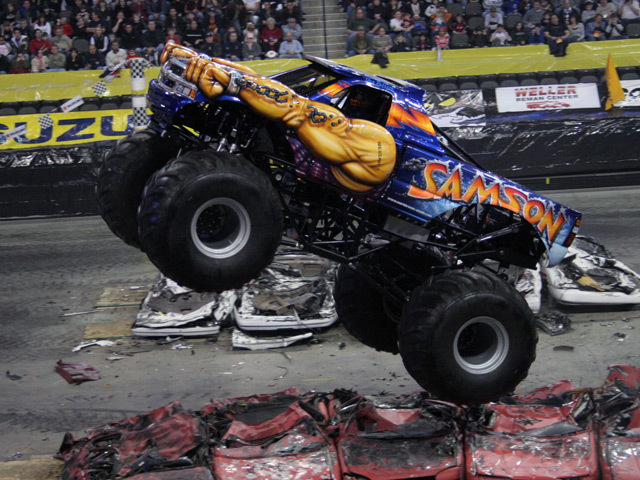 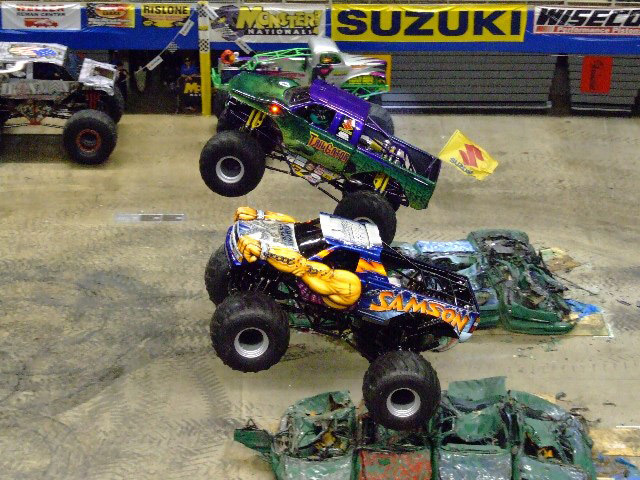 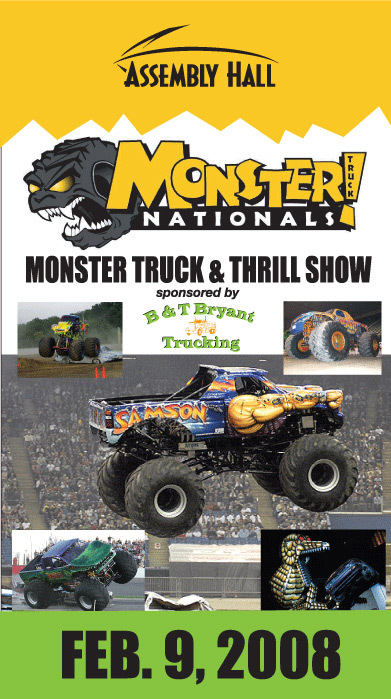 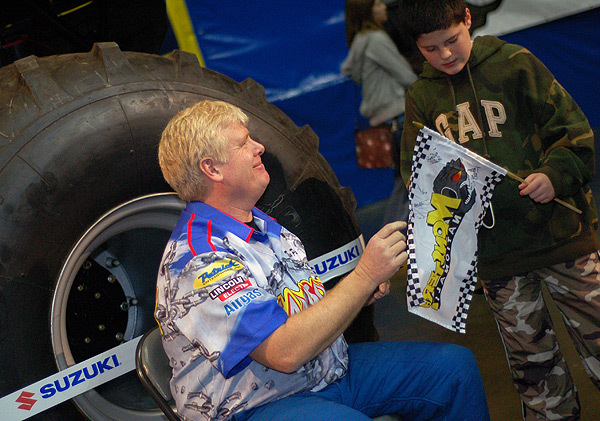 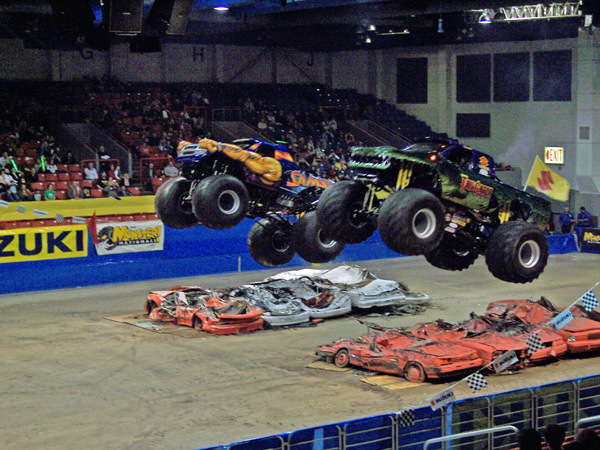 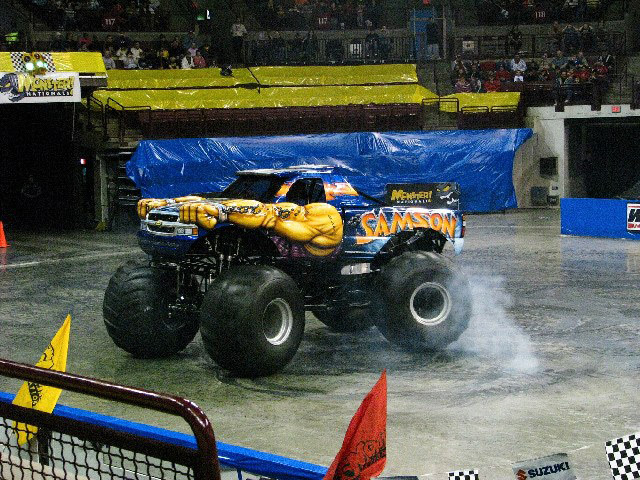 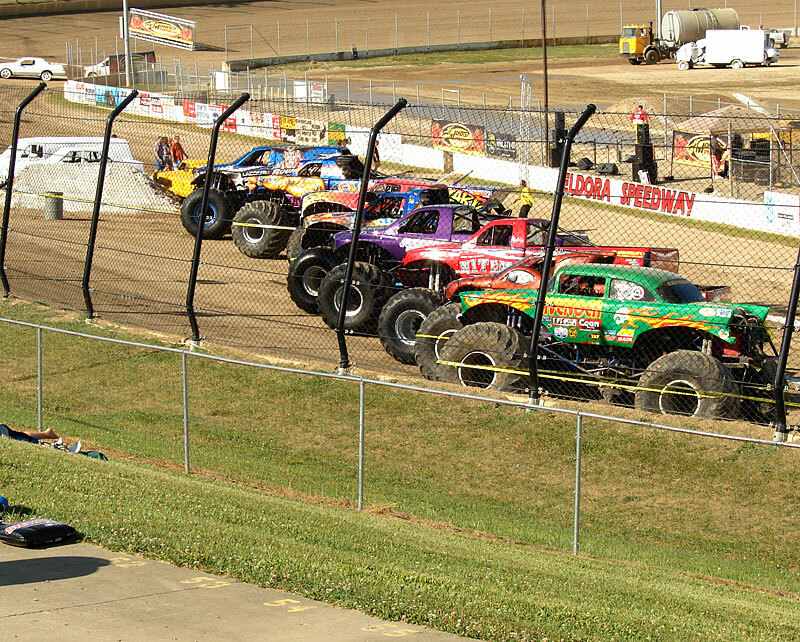 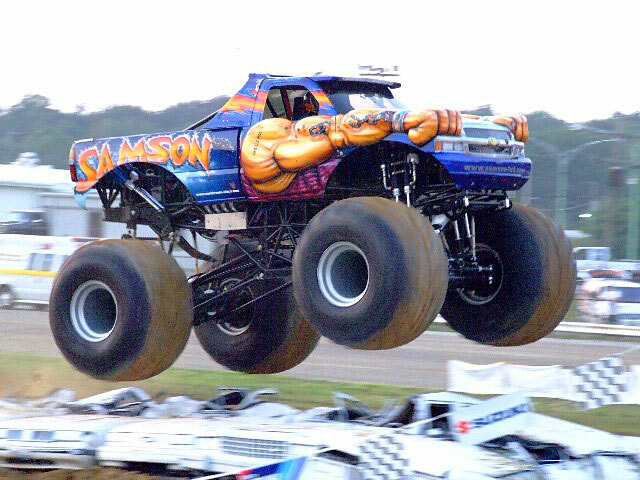 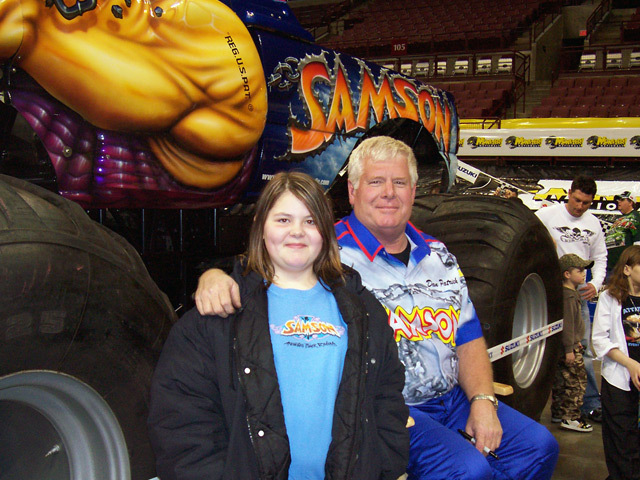 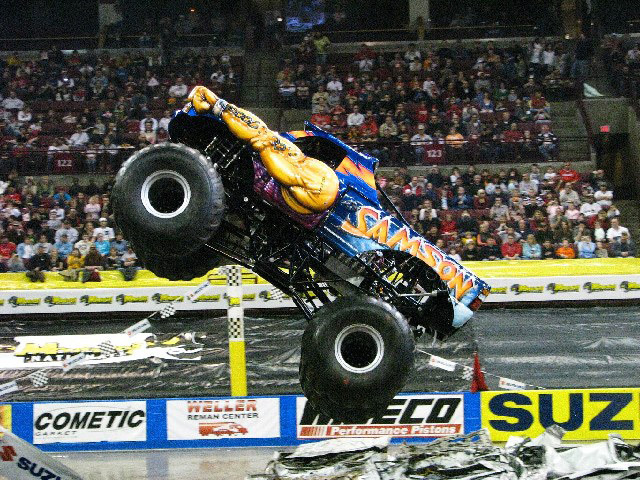 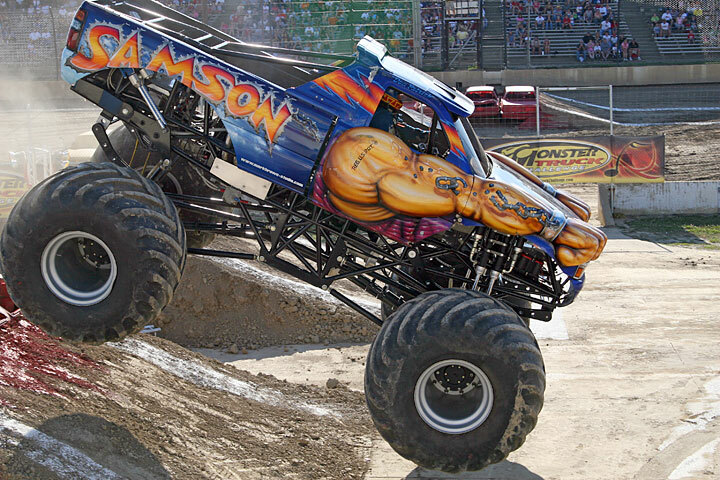 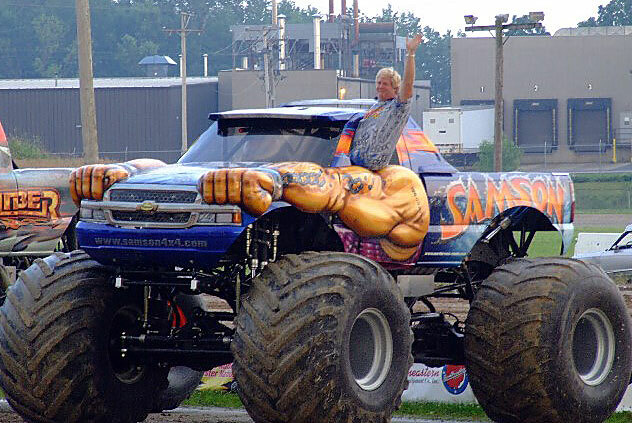 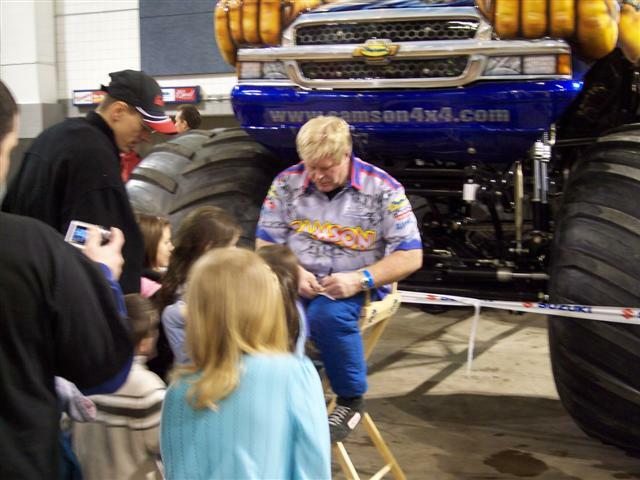 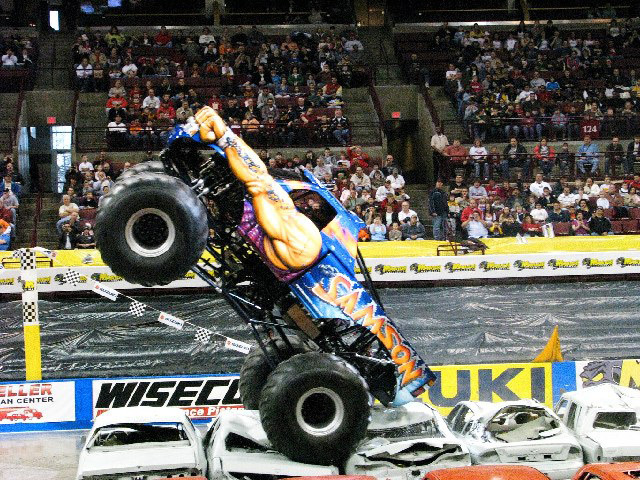 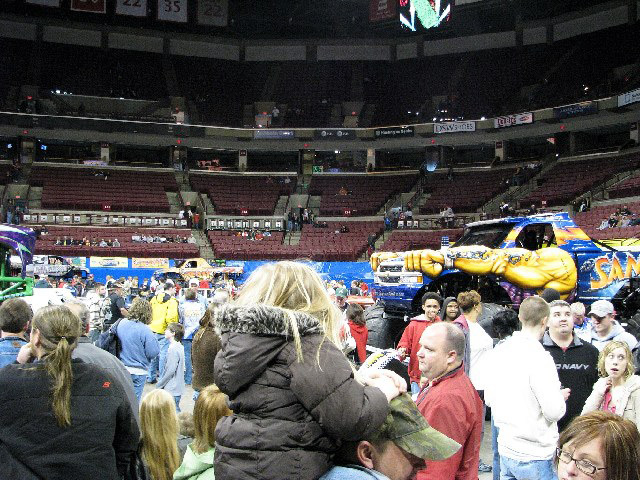 Saturday Night - Samson had fastest qualifying time and won the racing competition against Tail Gator once again. 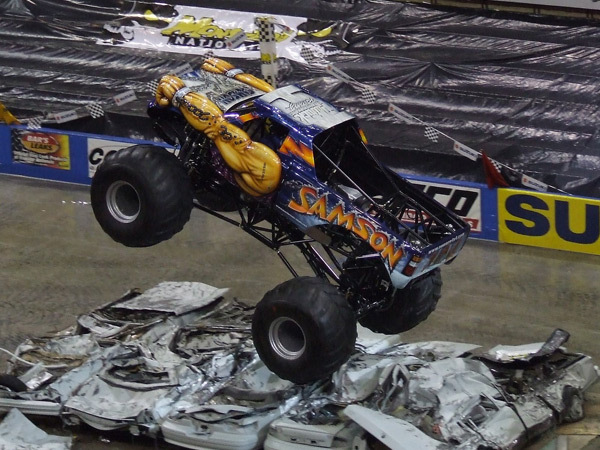 Dan Patrick went on to win Freestyle on Saturday due to the most incredible save during a donut attempt. 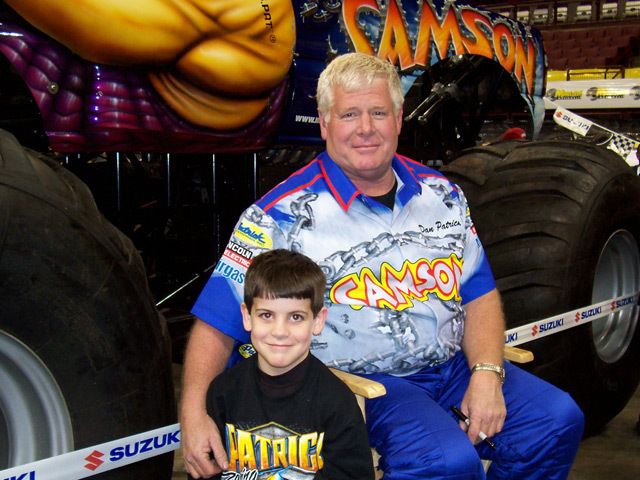 Patrick gave most of the credit to a firm grip on the steering wheel and a heavy foot on the gas pedal!